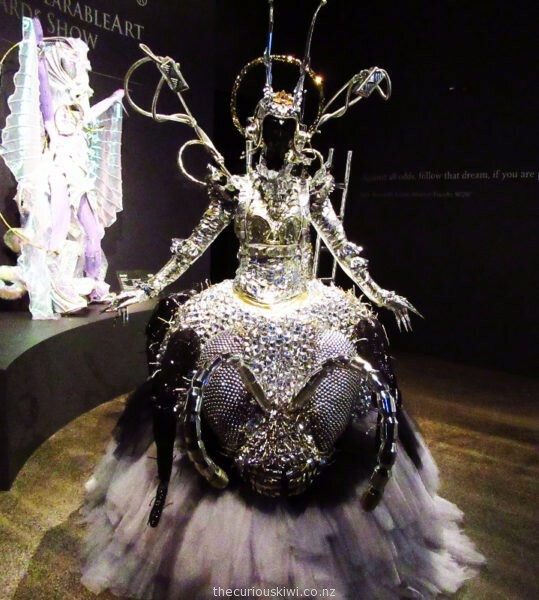 If you go to a wearable art show it’s not always easy to appreciate the intricacies of the creations, so the Museum allows visitors to get up close and see the details. You can spend as long as you like looking at how the wearable art is made, and what it is made from – accordian parts to *Rabbit’s Tail Grass (below), anything is possible. Reading the descriptions of the wearable art also adds meaning to what you’re looking at … To Be Or Not To Be – Will man survive if bees become extinct, can bees survive man’s intervention into the natural world? The WearableArt Shows I’ve been to in Wellington have been a fabulous combination of theatre, music, dance, colour and creativity. 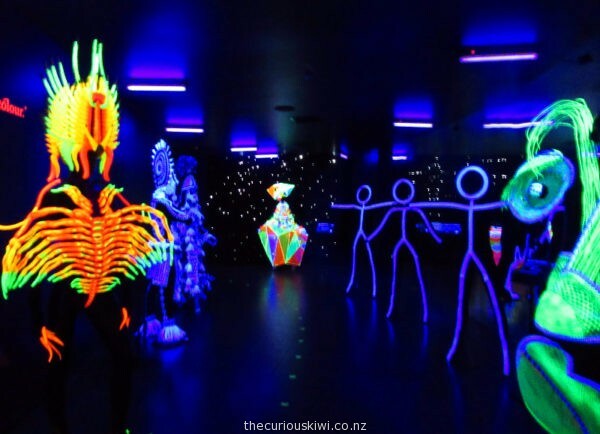 If you haven’t been to a WearableArt Show, there is a small theatre in the Museum where you can watch footage from past shows. Watching the footage puts the wearable art in context and helps you appreciate what an extraordinary show is put on every year. I thought the illumination section at the Museum was especially neat and there is also a good gift shop and cafe onsite. 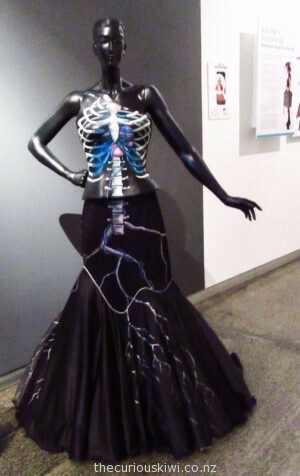 The wearable art on display is changed every May and November so repeat visitors should find something new to see. The Museum is open daily from 10am – 5pm, the cafe is open from 9.30am – 4pm. 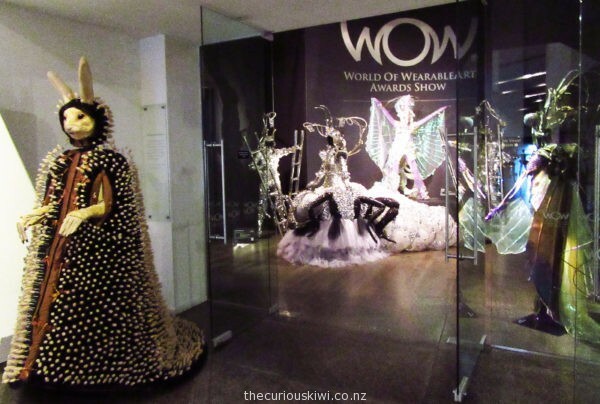 This entry was posted in Marlborough/Nelson/Golden Bay, Unusual New Zealand and tagged wearable art, World of WearableArt & Classic Cars by thecuriouskiwi. Bookmark the permalink.